Cherry Cola Oreo Cookies: NABISCO SODA POP BLAST! 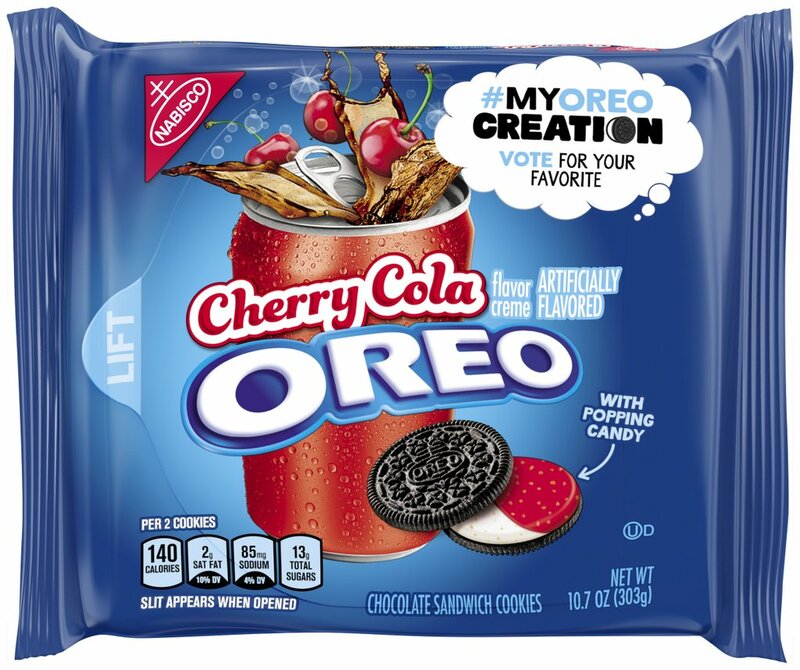 Nabisco has been saturating the snack aisle lately with gimmicky flavored Oreo and one of the more fascinating flavors they've released is Cherry Cola. We tried it out and here is what we found! The most interesting element of this new cookie is the addition of "popping candy" to the cherry cola flavored creme. What's so brilliant about this move is that the popping candies help imitate the sensation of drinking a fizzy soda! While eating one of these Oreos is not exactly like drinking a cherry cola, Nabisco has done their best to make this a unique and entertaining snacking experience. Aside from the fizzy mouthfeel, the artificial cherry cola flavoring itself is very strong throughout (Oreo's signature chocolate cookie flavoring is still present as well). This cookie would be great served at a party because it would surely make for great conversation. But when it comes to eating something that is purely delicious, we say skip this newcomer. While Cherry Cola Oreo is fun, interesting and impressive, it just doesn't taste as good as Oreo's other offerings. For a naughty snack, we'd rather bite into one of Oreo's other new flavors, like their insanely tasty Peanut Butter Creme.